Need to see your dog at night? Want to keep them safe while on a walk? Maybe your dog goes for a run with you at dawn or dusk? Any time your dog needs to stay visible, you'll need the Hot Dog Safety Collar. in Designer Patterns It's bright LED lights make sure your dog is seen when you need it to be. Our Hot Dog Safety collar is different than the rest because they are rechargeable, come in dozens of great colors and styles, and best of all, are made right here in the USA! Why are all sizes 1 inch wide? A: The light up mechanism requires a minimum amount of space inside of each collar. 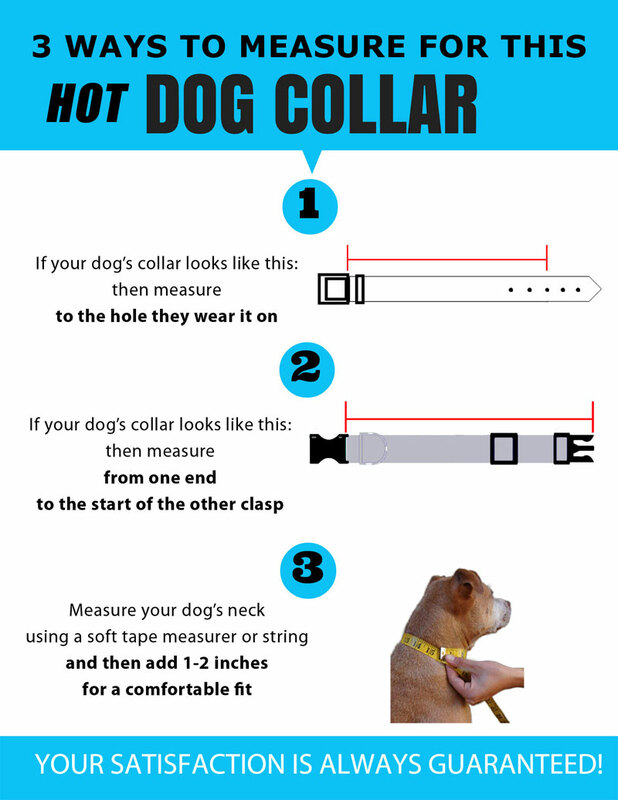 Therefore the minimum width of the collar is 1 inch. 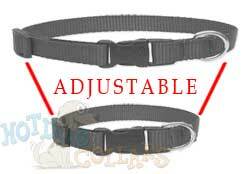 While this will be somewhat bulky on smaller dogs this collar is a special use item and not intended as an all day, every day collar. In the interest of safety we feel it's important to offer this collar in a wide range of sizes. LED LIGHT DOG COLLAR - Our rechargeable safety dog collar means your dog stays visible when you need it to be. Perfect for the beach, lake, jogging at dawn or dusk, outdoor dogs, service dogs, and more! MADE IN THE USA - There are plenty of cheap light up collars available, but as of the time of writing we are the only one making the collar here in the USA. Real US employees, Real US Jobs, and a real family owned business! 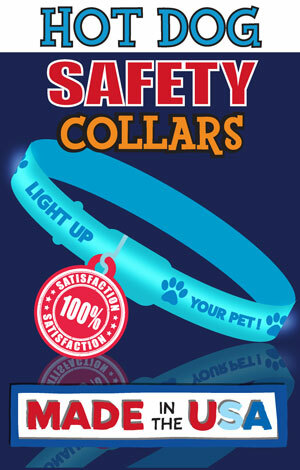 The Hot Dog Safety Collar - Light Up Their Life! love the fact it can be recharged. It lights up much better than any I have previously had. I have a black lab mix & he is impossible to see in the dark. I believe it keeps other night animals away also. We live near woods & big open fields.